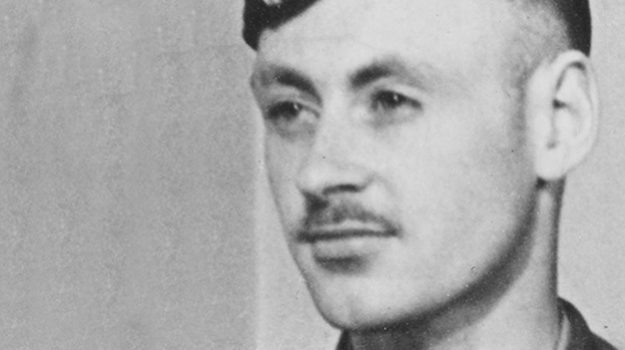 Born in Scotland in 1914, Gordon Lunan immigrated to Canada in 1938. He joined the Armed Forces in 1943 and had earned the rank of acting captain when he was seconded to the Wartime Information Board, where he continued to work until his arrest in 1946. An Ottawa resident, he was also editor of Canadian Affairs, a military journal. Lunan played a central role in the Soviet espionage conspiracy and was accused of running a “study group,” which consisted of Israel Halperin, Edward W. Mazerall, and Durnford Smith. Unfortunately for Lunan, he chose to cooperate with the espionage commission, and his testimony was used in court, where he was found guilty of conspiracy to violate the Official Secrets Act. His case was significant because he and Mazerall were the first trials that challenged the admissibility of evidence (Willsher and Woikin had pled guilty). Lunan’s presiding judge was James McRuer, whose rulings established key precedents that were followed in many of the subsequent trials, particularly surrounding the question of diplomatic immunity and the right to remain silent before a government inquiry. “David Gordon Lunan was born in Kirkaldy, Scotland, on 31st December, 1914, of Scottish parents. He attended a number of schools in England and arrived in Canada in 1938. His first employment was with A. McKim, Limited, advertising agents in Montreal, and in 1940 he was employed in the same city with another advertising agency until the 1st of July, 1942. In January, 1943, he joined the Canadian Army as a private and in April of the same year he obtained his first commission. In June, 1945, he was promoted to the rank of Acting Captain. In November, 1944, he was seconded to the Wartime Information Board which later changed its name to Canadian Information Service, and was with that body until February, 1946. He was Editor of the Military Journal, Canadian Affairs, and had his office at 1391 Sparks Street, Ottawa. He had associations with Squadron-Leader Fred W. Poland, Squadron-Leader Matt S. Nightingale, Dr. Raymond Boyer, Durnford Smith, Sam Carr, J.S. Benning, Edward W. Mazerall, Fred Rose, Harold S. Gerson, David Shugar and Israel Halperin. Lunan told us very frankly how he became associated with Lt.-Col. Rogov of the Russian Embassy, who was one of the assistants to Colonel Zabotin. He testified that one morning when he arrived at his office, he found on his desk an anonymous note inviting him to meet an unidentified person at a corner of Rideau Street in Ottawa. Lunan, Gordon. The Making of a Spy. Toronto: Robert Davies, 1995.